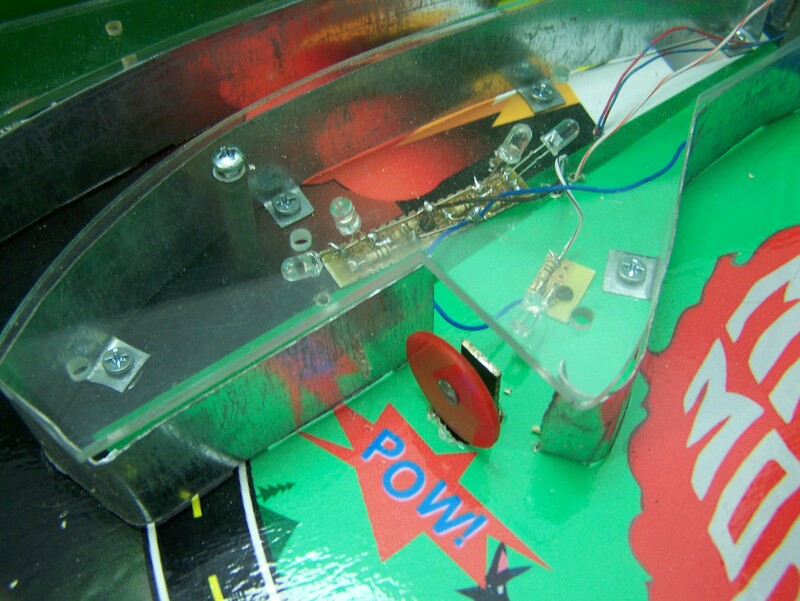 So, I have still been working on the pinball machine! 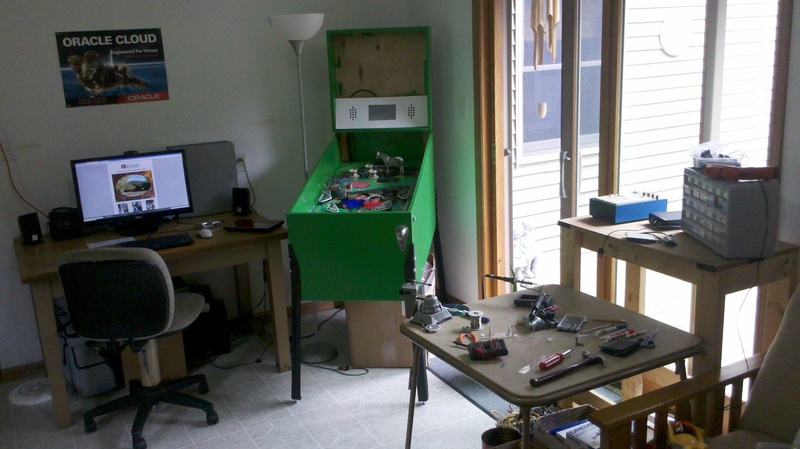 Let me mention though, that you should never fool yourself into thinking that you can work a 40hr/week job, AND actively build a pinball machine at the same time. 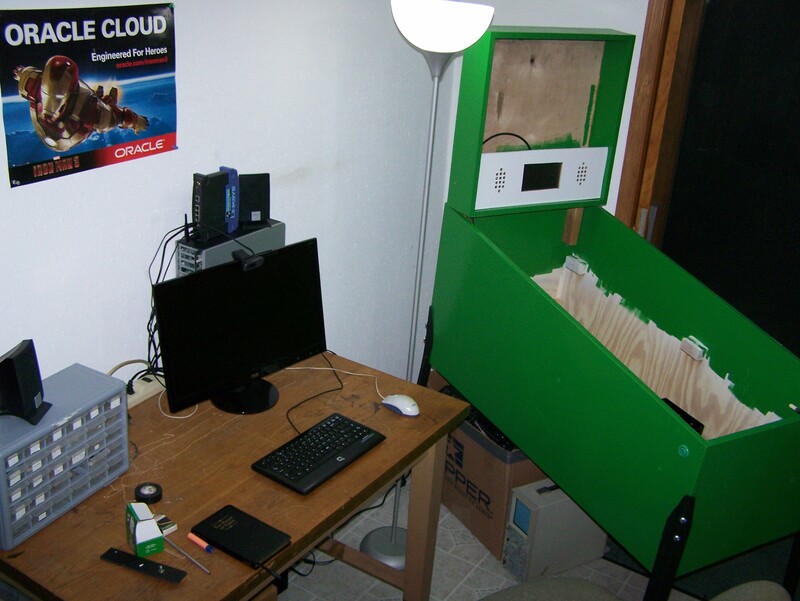 I cleaned up my workspace. It hardly even looks like the same place! 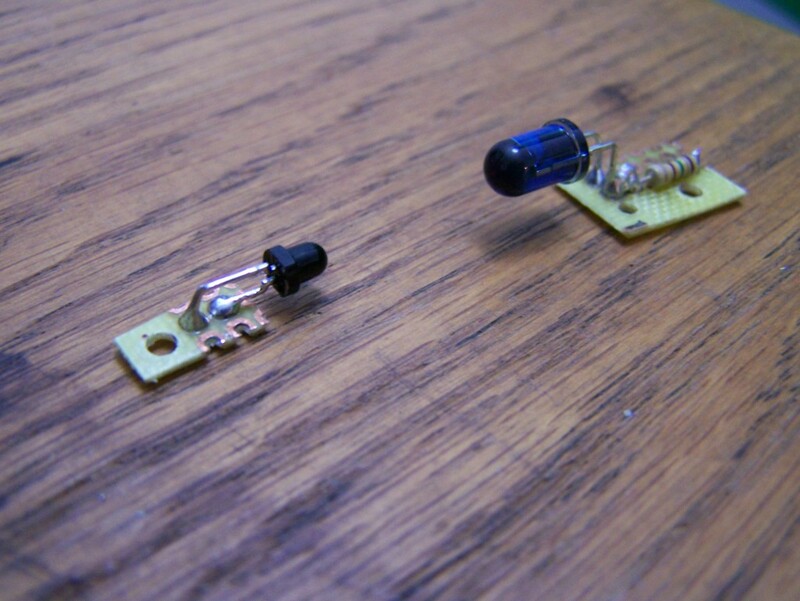 Using a punch, and some surgical scissors, I can cut and tool these little circuit boards for the Infra Red sensors. 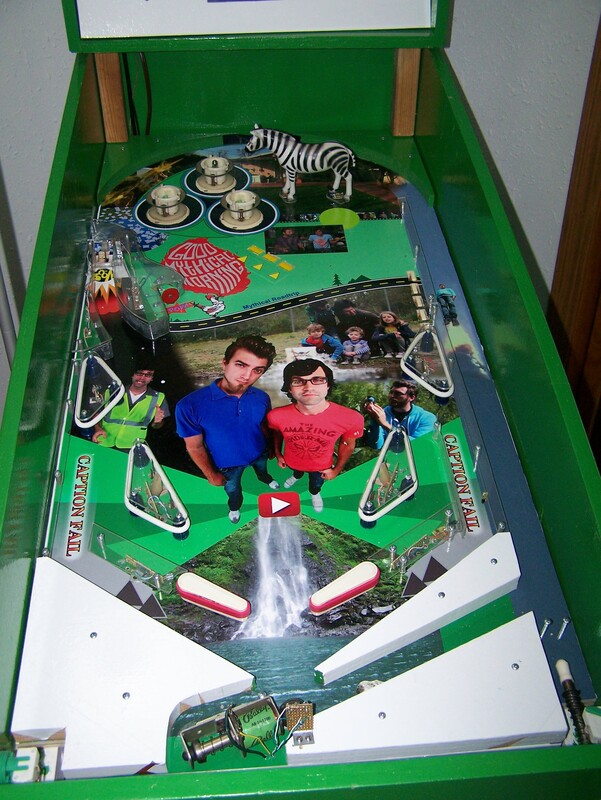 So, there’s the playfield as it stands now. Once I get the lights all wired up, and some programming going, I’ll post a few action shots. There’s also that awesome Iron Man 3 / Oracle Cloud poster. Tony Stark’s genius serves as technical inspiration. It was kind of fun installing that single target. It looks pretty cool! 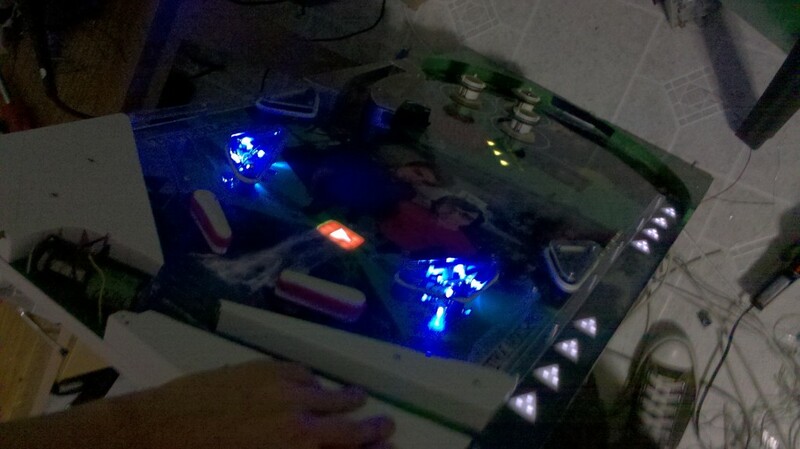 I’m still trying to decide how to discreetly get the wires into the playfield. But I’m sure that will come. 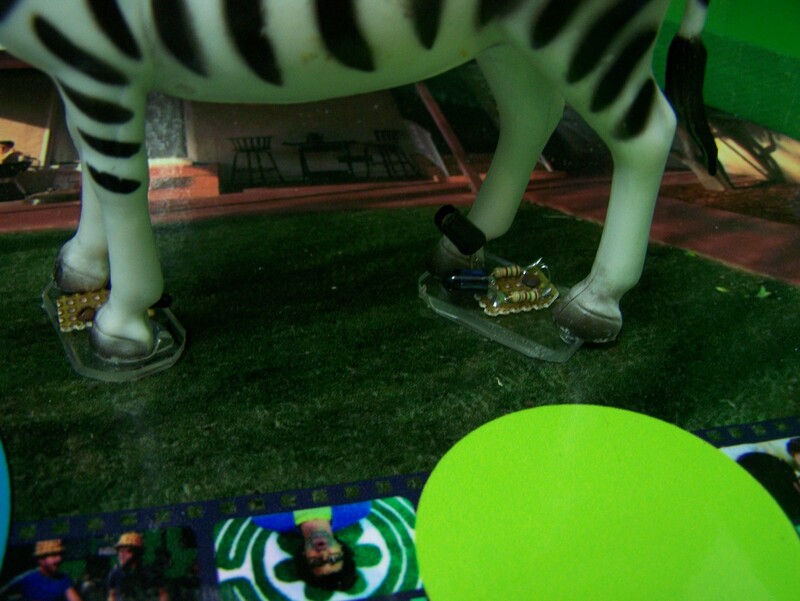 Now, admittedly, my Dope Zebra isn’t very Dopey, but aside from getting a 3D Printing, that was the best I could do. That’s it! Check back soon! 🙂 Comment, tweet, or email me if you like this! 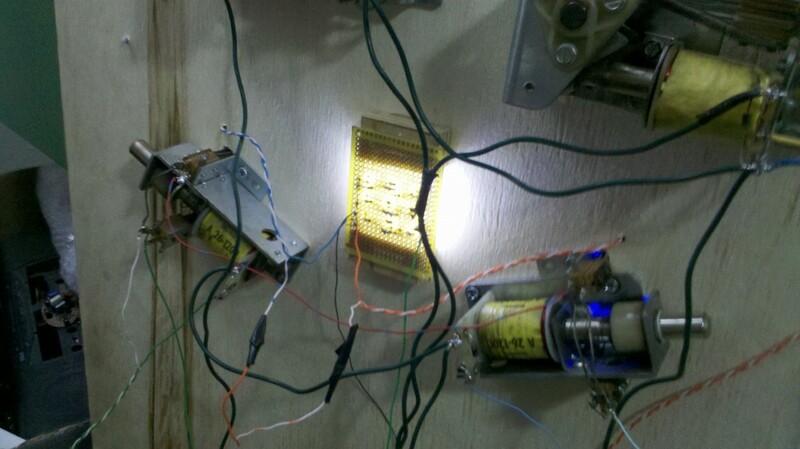 Do you think it’ll be possible to do this on a smaller scale using just the gpio on the PI? 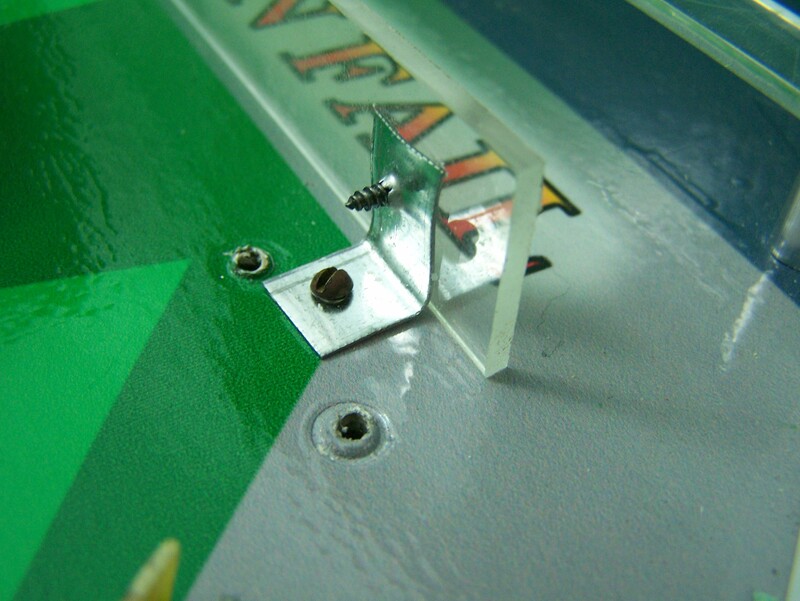 I’d like to do a smaller tabletop pinball machine for my son. I’m using one of the $20.00 ones from toys-r-us and using the parts form it and building a new box and changing the theme. Also, did you write the software to run the points and play any music? Sorry for a very late response, but no, it couldn’t be done only with the GPIO on the Pi. To clarify, you would still need the MOSFET circuits to control the 24-50V for the solenoids. The GPIO on the Raspberry Pi is very sensitive, and only outputs 3.3V. If you only needed a few inputs and outputs (like a tabletop pinball machine for instance) you could use the GPIO pins with additional circuitry for powering solenoids. Hope that helps. 🙂 I’m trying to get back into my blog more.